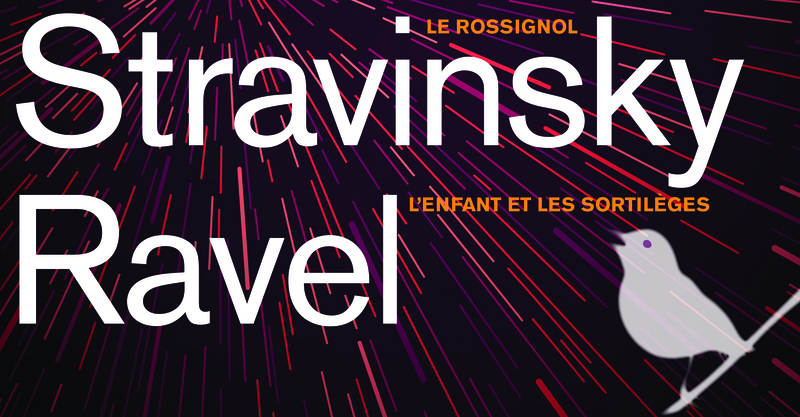 The CIM Opera Theater—with director Dean Southern, conductor Harry Davidson and the CIM Orchestra—will present Stravinsky's Le Rossignol (The Nightingale) and Ravel's L’Enfant et les Sortilèges (The Child and the Spells) November 7-10 in Kulas Hall. Two charming tales of fantasy come to life in these one-act operas in which the human and non-human worlds meet in magical ways. Le Rossignol is based on Hans Christian Andersen’s fairy tale about an emperor whose love for a real nightingale’s song is challenged by the tinkling of a mechanical bird he receives as a gift. In L’Enfant et les Sortilèges, a misbehaving young boy learns a valuable lesson from the animals, objects and even plants he has harmed. Funded in part by a grant from the John P. Murphy Foundation. The Friday, November 9 performance is sponsored by Tucker Ellis LLP.